Click to enlarge. Courtesy Harper's Monthly. At Urban Oyster, we spend a lot of time writing about, talking about, thinking about, and, well, drinking beer. We do this not just because beer is delicious, but because it is a rich lens through which we can examine social and cultural history and act upon some of the core principles of our company, like preserving local history, supporting local businesses, and promoting local consumption. But we can do this as well by turning our attention to another popular beverage: soda. The histories of beer and soda in America are intricately linked, especially during Prohibition. When saloons closed their doors, they were replaced by soda fountains and pharmacies, where people could enjoy cold refreshments, and where they peddled stimulants in the form of carbonated patent medicines (they also did a swift business in “medicinal alcohol,” a loophole in Prohibition law that made people like Charles R. Walgreen fantastically rich). Many brewers also started making soda, and when Prohibition was lifted, some soda makers ditched the sugar water and got into the beer business. This common history is also reflected in the striking similarities in the American beer and soda markets today. Just two companies, Anheuser-Busch InBev and MillerCoors, control roughly 89% of the beer market by volume; in soft drinks, Coca-Cola, PepsiCo and Dr Pepper Snapple Group also collectively hold an 89% market share (check out this cool infographic about the soft drink industry from Philip Howard of Michigan State University). While most people cool down by sipping behemoth global brands, many parts of the country have their own local sodas that they drink with pride, and many people are transposing their locavore and artisanal food sensibilities to soda. From Moxie to Boylan to the Brooklyn seltzer man, despite the dominance of corporate fizz, the landscape of small-time soda can be as varied and interesting as craft beer. This exploration of regional soda was inspired by a recent trip to Maine, home to one of the most celebrated regional sodas, Moxie. Invented in 1876 in Union, Maine (it’s iconic Moxie Man logo inscribed with “Since 1884” denotes when the soda water was added to turn the patent medicine into a mass market beverage), by the 1920’s, Moxie had become the most popular soft drink in the country, preferred by the likes of Babe Ruth and President Calvin Coolidge. The teetotaling Coolidge even toasted his inauguration after President Harding’s death with a glass of Moxie, which is a popular drink at his boyhood home in Plymouth, Vermont, now a historic site, where he was sworn in as president. Frank and I strike the 'Moxie Man' pose. On that same trip to New England, we also stopped by the factory of Foxon Park Beverages, the staple drink for nearly every pizzeria in the greater New Haven area. Established in 1922, Foxon Park produces a wide variety of sodas out of its small factory in East Haven, Connecticut. We stopped in to buy a variety pack to take back to Brooklyn – I loaded it with my favorite, Iron Brew, which tastes like ginger ale and root beer mixed together. We also grabbed their Gassosa lemon soda, and plenty of root beer (but as much pride as I take in being from Connecticut, I still can’t stand our unofficial state beverage, birch beer). A slice from the world famous Pepe’s or Sally’s pizzerias would not be the same without a Foxon Park soda. Although it’s only 90 miles from New York City, the only place that I know of where you can find Foxon Park around here is at Bark Hot Dogs in Brooklyn. Vernor's mural in Flint, Michigan. I would be remiss if I didn’t mention the favorite sodas of Michiganders, considering that Urban Oyster’s founders both hail from the Great Lakes State. Though not from Michigan myself, I have come to love Vernor’s Ginger Ale, which claims to be America’s oldest ginger ale (dating to 1866). It’s packed with more ginger, and more carbonation, than most Canada Dry sippers are probably used to, often causing the drinker to sneeze forcefully after the first sip. Another Detroit institution is Faygo, which produces the beloved Rock & Rye, among other sodas. Unfortunately, neither of these companies are independent – Vernor’s is produced by Dr. Pepper Snapple, and Faygo by National Beverage Group – but they are both still bottled in Michigan and are available across vast swaths of the country (though not, it seems, in New York City). New York City has given birth to some major players in the soft drink industry. Arizona Beverage Company started off as a beverage distributor in Brooklyn in the 1970’s founded by John Ferolito and Don Vultaggio (they ran into trouble with the provocative ads for their Midnight Dragon malt liquor) before hitting it big with their iced tea. Another non-carbonated drinks purveyor, Snapple, was founded in Valley Stream, within sight of JFK Airport; now it is part of the Dr. Pepper Snapple empire, though the other half also has New York connections – Dr. Pepper was invented by a Brooklynite, Charles Alderton. Then of course there is Dr. Brown’s – like Foxon Park and pizza in New Haven, it used to be that you couldn’t eat a pastrami sandwich without washing it down with a Dr. Brown’s. Their Cel-Ray celery soda isn’t as popular as it used to be, but their products are still certified Kosher. Though it is still made on Long Island, Dr. Brown’s is now bottled by Pepsi. The last seltzer maker in New York City. More important than being home to leading brands, soda has always been a big part of the city’s cultural heritage, and there are a few small-scale soda makers still around. Seltzer is inextricably linked with the city’s Jewish community – I don’t know how this became so, but Barry Joseph, author of the blog “Give Me Seltzer,” about his work writing the definitive history of seltzer (still in progress), could probably tell you. Brooklyn still has a handful of seltzer delivery men. If you are in the know, and you live in the right neighborhood, you too could have the delicious carbonated beverage delivered to your door each week in antique glass bottles (or you could get one of these - though you will be drinking your seltzer from heretical plastic bottles.) The stuff is still churned out by the Gomberg Seltzer Works in Canarsie, Brooklyn, the last in the city. On the side of the Gomberg building, you will find an old advertisement for No-Cal Ginger Ale, the world's first zero-calorie soda, introduced by Kirsch Bottling of Williamsburg in 1952. The soda enjoyed some early success, scoring some celebrity endorsements, but it ultimately failed because it's sugar-free formula was targeted at diabetics, not weight-conscious consumers. This is a similar tale as that of light beer, though in reverse. The first light beer was also released by a Brooklyn company, Rheingold Brewing, in 1967 under the name Gablinger's. The tagline, "A light beer with less calories than skim milk" did not exactly excite beer drinkers, and it was not until the formula passed to Miller that it became a massive success. "Great taste, less filling" – rather than a beer for dieters, Miller Lite was a beer than you drink more of (and get more drunk) without feeling full. Now that's a selling point. Smaller brands more attuned to so-called “adult tastes” – less sweet, with more exotic flavors than your usual fast food fountain offers – are one of the fastest-growing segments of the beverage market, and many come from the New York area. Boylan is one of the few long-standing independent soda companies in the New York market. Founded in 1891 in Paterson, New Jersey, the company has its roots in a drug store concoction, like most of the sodas we drink today. They have used largely the same ingredients in their sodas since their founding, like cane sugar, and they are still family-owned. A more recent entry into the market is GuS Grown-Up Soda, which offers flavors like Dry Pomegranate and Star Ruby Grapefruit. Maintaining the close ties between beer and soda, Greenpoint Beer Works (mentioned in a previous post) also brews an array of sodas for the Heartland Brewery chain of restaurants. TMI Food Group, one of the country’s largest manufacturers and distributors of Chinese food products, has a production facility in the former bottling plant of the Hittleman Brewing Company in East Williamsburg. In addition to dumplings and noodles, they also make a line of ginger ales under the brand Fresh Ginger Ginger Ale by Bruce Cost (it has pieces of real ginger in it, and it’s quite delicious). A factory that once churned out lager now produces (ginger) ale. Courtesy Jen Strader Photography. Then of course there is the artisanal soda movement. New old-timey soda fountains are popping up, but now they’re slinging soda for what a pint of beer will cost you, except these are made with essential oils from fruits and herbs, not corn syrup and caramel color. I have yet to try any of this fancy fizz, but New York Magazine has a rundown on the whole scene. If you want to go one step further and make your own soda from local ingredients, you can join "Wildman" Steve Brill (mentioned before on this blog here) on one of his urban foraging adventures, where you will undoubtedly harvest some wild sasparilla for making root beer (just don’t let the Parks Department catch you doing it). A century ago, alcohol was attacked as the root of all evil in America. 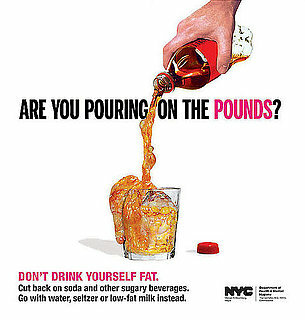 Now, it seems, soda is in the crosshairs for making our nation morbidly obese (have you seen these revolting ads plastered on the subway?) Both should be consumed in moderation, and if you can, enjoy a local brand. If you like the painting at left, check out more art from John Tebeau – he's also been known to paint Vernor's and a Rhode Island favorite, Del's Frozen Lemonade. For questions or comments about this blog post, please contact Andrew Gustafson (andrewg@urbanoyster.com). All photos are by Andrew Gustafson unless otherwise noted. Do you have a favorite regional or niche soda that everybody should try? Email me suggestions or post them in the comments. We have a Sodastream at home. It's pretty fantastic. Another regional delicacy from Philadelphia that my dad always insists on getting is Frank's Black Cherry Wishniak. I'm somewhat surprised you didn't mention Hansen's. They have quietly grown into a craft soda powerhouse, infiltrating supermarkets nationwide. I guess that sort of makes them the Sam Adams of that market -- too big to be considered craft, but not mistaken for the entrenched brands. Great article -- but you overlooked Manhattan Special. My understanding is that this soda -- made w/ brewed coffee and still available -- is produced by a Brooklyn-based company that's been around for about a century. Available in some supermarkets & small food stores around town. Last time I looked they had a website too. Other NYC based soda-makers (not sure of their status or current ownership) Good-O (Bronx-based I think), & Tropical Fantasy. In Utica, NY, the Matts company makes Saranac Beer and Saranac Root Beer (which I don't see distributed down here), as well as some bargain-priced brews. They run a terrific brewery tour that ends in an old-fashioned wood-paneled bar where you can order one of their beers or sodas.